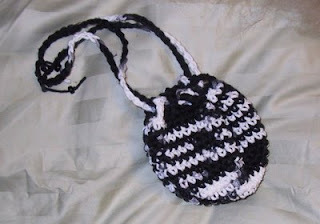 Just wanted to stop by and say a very big thank you for sharing all of your lovely patterns....how kind of you! I especially like the granny scarf and I'm going to give it a try. This pattern is really cool! I found it really easy to make! I'm making it for my friends at school! 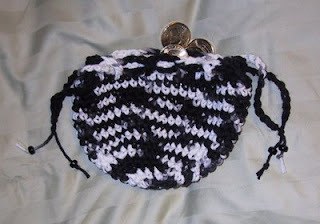 Wow this is so purrrfect, I love little bags like this and it is the first pattern I looked at. Well no worryies all copyright will be respected.